After installing the Spartan Quark on my Blade 400 I still was not getting the results I was expecting. Mainly the tail would blow out slightly every time I pumped the collective a bit hard, and if I can accept that from my Blade mCP X, I definitely cannot take it from a 400 with a Spartan gyro. At the field, a very knowledgeable guy called Peter, told me that the cause was most certainly the tail servo, which was not up to the task. 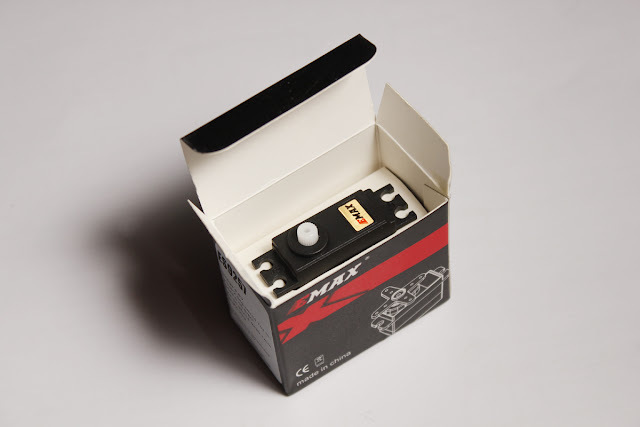 I was not really keen in forking another $60 out for a Futaba 9257, and Pete came in my help again mentioning a chinese brand which produces a clone version of the famous 9257. A brief research led me to the EMax ES9257, which looks like the Futaba, apparently performs like one, and costs less than $15. Well, I purchased one, installed it and went for a flight. But first things first: here is a step by step guide on how to install it (it really applies to any tail servo for mostly any rc helicopter), and then I'll let you know what I think. This is the box which the servo comes in. It was really well protected by bubble wrap and the shipping was fast. Inside the servo is displayed with a sort of paper shelf. Not bad. 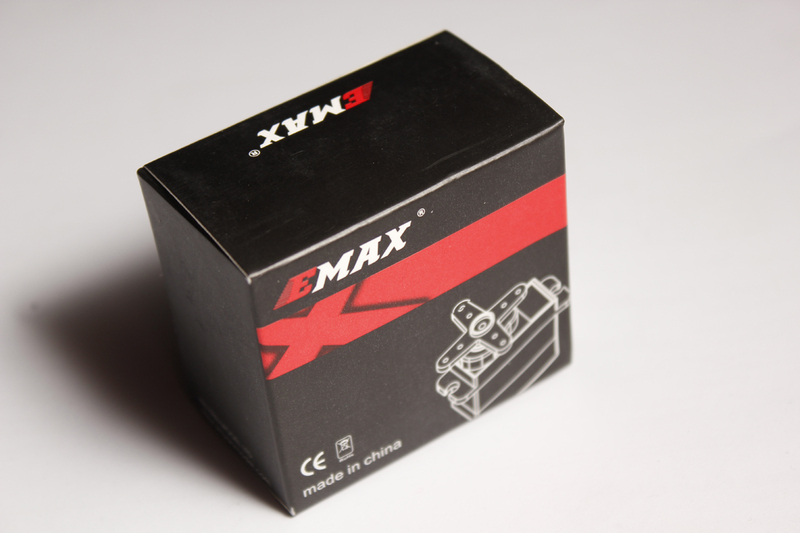 This is the content of the box: the servo, three different arms, bushings, screws and grommets. I first put the rubber grommets inside the mounting holes, and then the bushings inside the grommets. This really dampens the vibrations a lot. 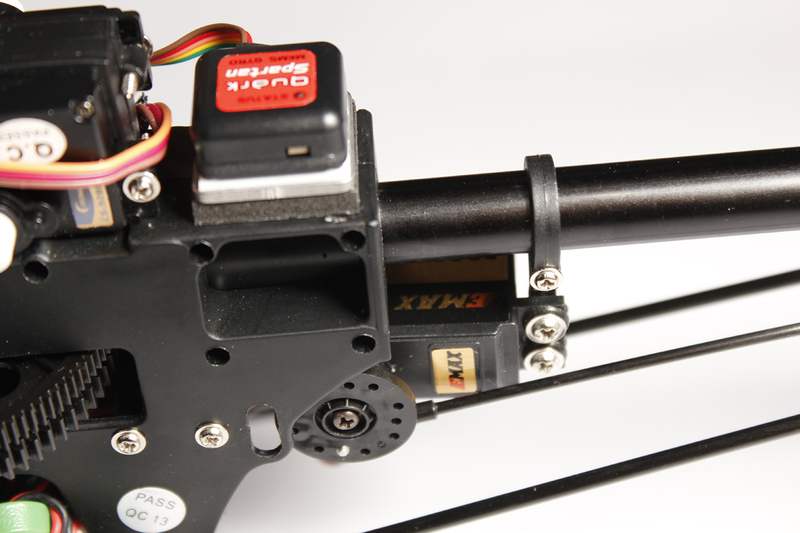 Looking on the gyro manual for specs, I found that on 400 size helis the recommended distance of the pushrod from the servo is around 7 mm, so I found an arm which did not need to be modified, and went with that one. - Once you know it's centered find the arm that best places a rod hole either at 90º or 0º depending on the use. In this case I need 90º. Once everything is in place, secure the arm with its screw, insert the ball link, connect the push rod and check that its length is approximately correct, you will adjust it later. 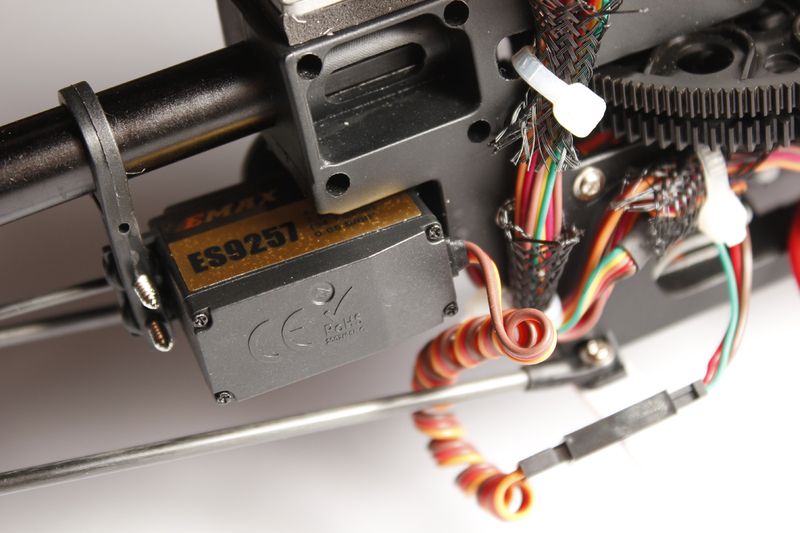 When you are done with checking, fix the servo to the tail and you are good to go! NOTE: you want to check that the tail blades have approximately 8º of pitch from the center when the servo is at neutral. This will be enough to counter act the torque of the main rotor and will keep the tail still when hovering. 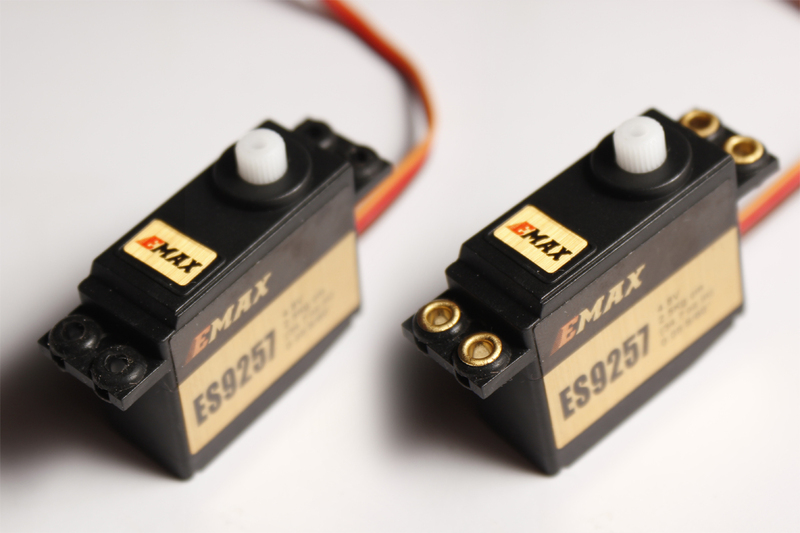 Overall the servo performs really well. 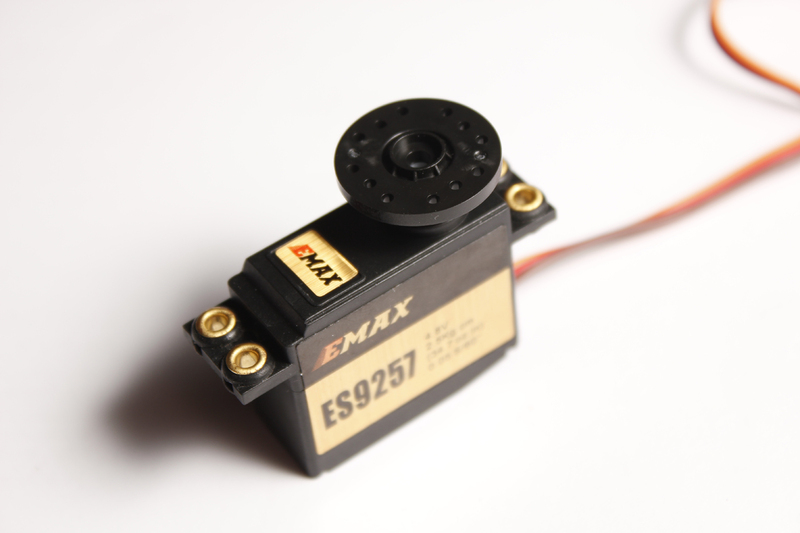 I don't have the possibility to bench test it, but it is WAY faster than the stock Eflite servo and, even if some pilots are experiencing noisy servos, mine is really silent too. In flight I had to lower the gain on the gyro otherwise the tail was wagging, but once nailed the gain I could really pitch pump with the tail following solidly. Big grins I can assure you. I had to set it up in rate mode first, and I had to adjust the length of the tail pushrod to eliminate any drift. 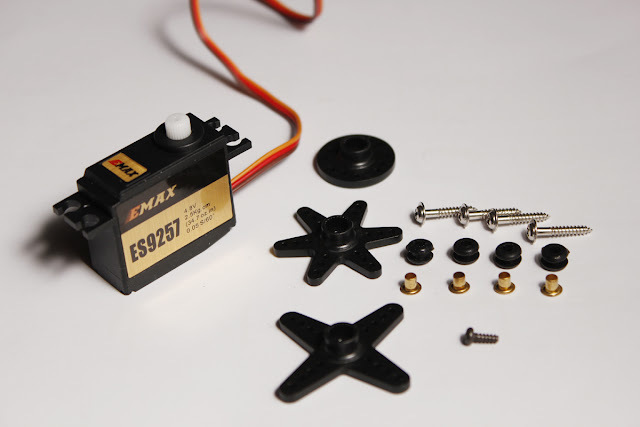 (Easy operation: if, when hovering, the tail drifts either to the left or to the right you want to check which direction the servo should compensate more, and adjust the pushrod length in consequence). Once that was locked in I switched to heading hold and off I was. My final verdict on the servo is...awesome! Seriously, for $15 you cannot go wrong.